Copy Print Services offer an unmatched range of photocopier leasing packages, helping to keep Britain’s businesses copying. We understand that no business is the same, so we’ve designed a series of solutions which are tailored towards both SMEs and large organisations with sizeable work forces. Leasing has been proven to be more cost-effective than photocopier purchase over a period of a few years – and this applies to packages for photocopiers, as well as the fax machines, scanners, printers and integrated machines we also provide. If you are already tied into a lease with another supplier, we can still save you money if you make the switch to Copy Print Services. Typically we are able to take over a lease with the minimum of hassle for you and slash your overheads as a result. 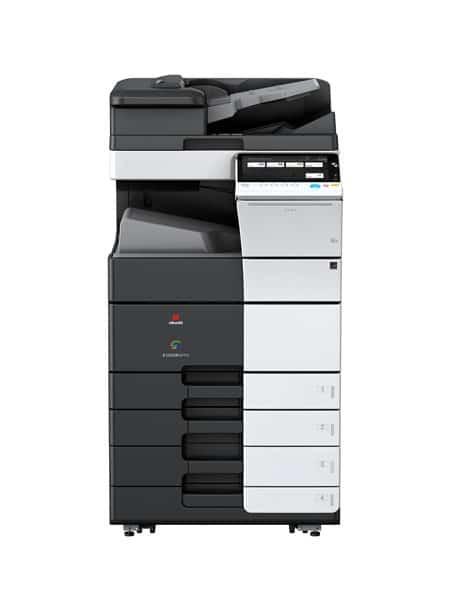 Copy Print Services are able to provide you with a free, no obligation quote on the spot, leaving you to weigh up the benefits of photocopier hire with us. We genuinely believe that our offerings are superior to our competitors when it comes to pricing, quality and reliability. Below are some of the benefits you can enjoy by arranging your photocopier leasing through us. If you are a savvy business owner, you might subscribe to the theory that money is best in your bank. That’s why keeping initial cash outlays to a minimum makes so much sense for our customers. By spreading your costs over a longer period, not only can you stay within budget by avoiding a massive outlay, you can also make sure that you acquire the best equipment for the job. Our clients have the benefit of the latest photocopier technology, so by leasing from us you don’t have to worry about equipment being rendered obsolete – simply change an outdated unit for a new photocopier when you wish to. The affordability of our packages means that when you need equipment to support rapid growth, we are there to help. We worked out that based on a £7,500 spend over three years, you would gain tax relief of £2,061 as opposed to £702 with an outright purchase. We have designed an installation process which has you up and running in no time after you sign on the dotted line for your photocopier lease. At Copy Print Services, we base our entire business model around customer satisfaction. That means we are committed to helping you meet your business objectives through our offerings, be it added efficiency, optimised production or upgraded technology infrastructure.